Since 1964, around 7,500 students have become alumni of the IEE-ULB. They are a high-level professional network of former commissioners, ambassadors, politicians, researchers, entrepreneurs and professionals from the private sector. Graduates of the IEE come from some forty countries, mostly from Belgium, France, Italy, Spain… The majority of them studied political science or law. Nearly 30% of graduates between 2003 and 2015 work in national and international and European organisations. We can find them, in particular, at the European Parliament, the Commission and the Court of Justice of the EU, but also at the World Bank and United Nations. 20% of our graduates between 2003 and 2015 are active in the banking, insurance and business sectors; 22% work as consultants and in associations and lobbies representing diverse interests. 11,60 directed their careers towards research and teaching and more than 10% work in law firms. Discover the amazing career paths of our graduates by downloading our study about the IEE-ULB alumni. The use of social networks has in recent years served to strengthen ties, and create a Facebook page for alumni and a group on LinkedIn. Via the social networks or the AlumnIEE association, the goal is to create a community spirit, a community of IEE-ULB Europeanists. 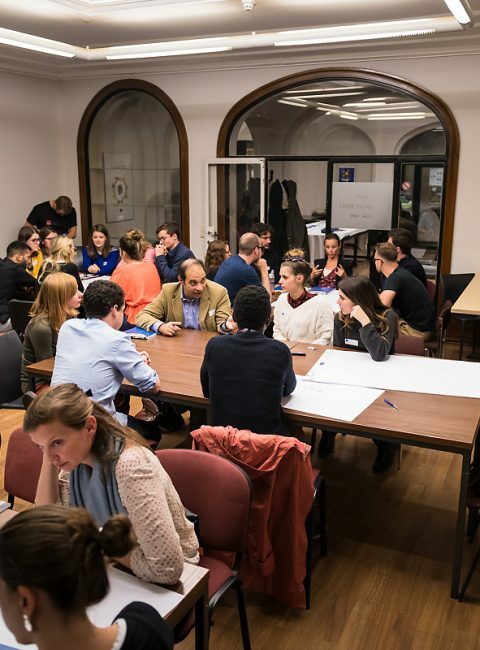 The AlumnIEE association’s objective is to bring together IEE-ULB graduates from all disciplines, to offer them a framework for debating European affairs during events and via our publications. Our alumni contribute, in turn, to the prestige and influence of the IEE-ULB in the professional world. That the number of IEE students has fluctuated according to the pace of EU enlargement? That 54.50% of our graduates between 2006 and 2015 work in Brussels? The network also aims to be a source of information and contacts, especially for younger professionals just starting their careers. As such, many initiatives are organised during the academic year such as a mentoring programme, conference-debates and cocktails bringing together alumni and current students. A close relationship with our graduates is also of great importance to us. Our more senior graduates play an important role in the training of the future specialists of European integration. Internship or job offers that we share in our channels often come from our alumni network. Would you like to contribute to the professional future of your alma mater’s students? Visit our dedicated page.